Approximately 17% of Gross Domestic Product ... Estimated to increase to 25% by 2025. Chronic diseases: Heart, Diabetes, Cancer, Stroke. #3 = the equivalent of a jumbo jet crashing every week. Depending on where you live, you might be receiving too much care with no additional health value. 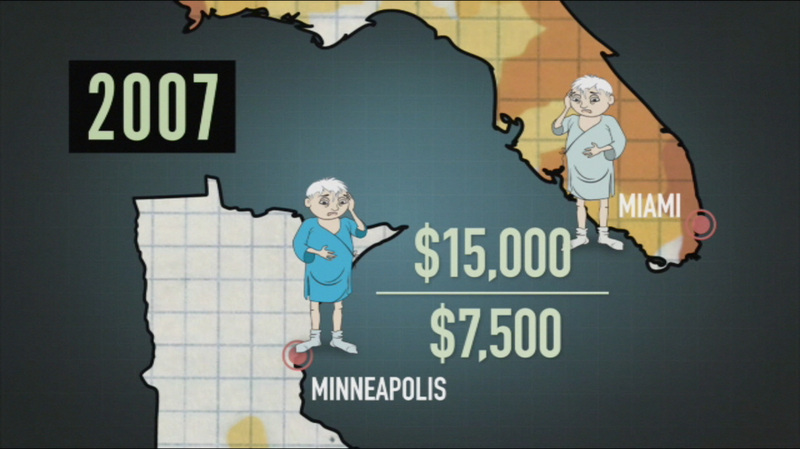 This visual compares Miami to Minneapolis. to assist with losing weight and prevention of chronic disease.